May 12, 2016 – The GOES-R team has begun a series of important rehearsals to simulate specific steps in the deployment of the satellite, such as spacecraft separation. Mission rehearsals use a satellite simulator to train operations personnel and test the readiness of the ground system. These simulations help test different parts of launch, like orbit raising, post-separation events, solar array deployment, and propulsion system readiness. 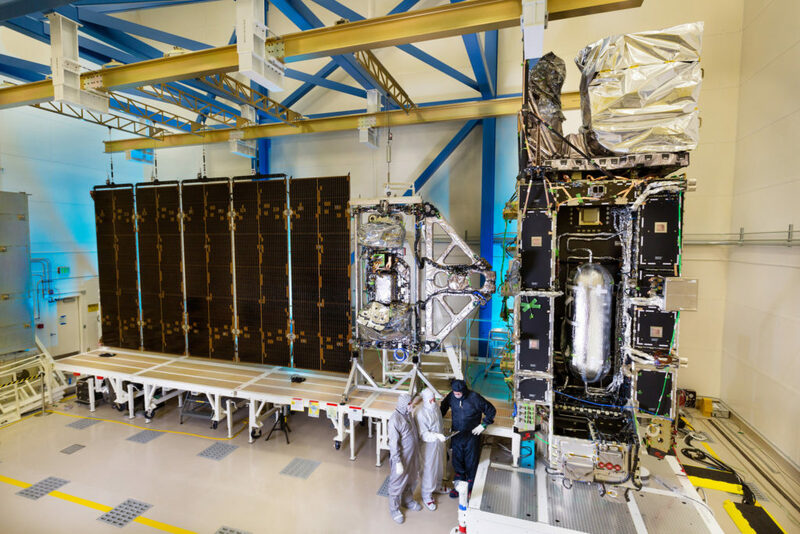 They simulate both nominal (normal) and contingency operations and are conducted at the NOAA Satellite Operations Facility (NSOF) in Suitland, Maryland. To date, GOES-R has completed two of six planned mission rehearsals. 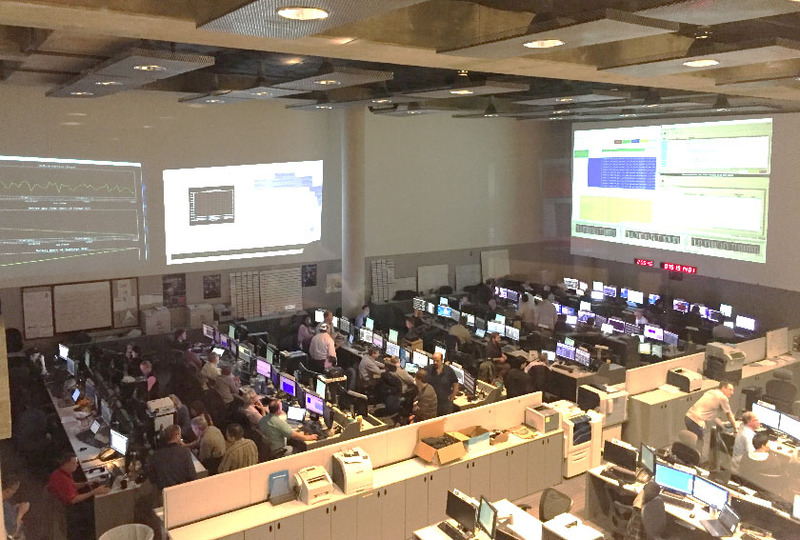 Four additional mission rehearsals will take place in the coming months and will simulate critical post-launch events like spacecraft separation from the launch vehicle, instrument activations and the magnetometer boom deployment. The satellites circle the Earth in geosynchronous orbit, which means they orbit the equatorial plane of the earth at a speed matching the Earth’s rotation. This allows them to stay in a fixed position in the sky, remaining stationary with respect to a point on the ground. The satellites continually view the continental United States, Pacific and Atlantic Oceans, Central and South America, and Southern Canada. The satellites operate approximately 22,300 miles above Earth.